Deregulation: Will Queenslanders see electricity costs come down? Deregulation of retail electricity prices is set to commence in south-east Queensland (SEQ) from July 1 2016, in a move designed to promote further competition among energy providers following rapidly rising electricity prices in recent years. Deregulation has been a hot topic politically in the state, provoking a wide range of opinions and debate, with the current government having postponed its planned deregulation last year, in doing so tasking the newly established Queensland Productivity Commission (QPC) with undertaking an inquiry into electricity prices. Earlier this year, the QPC released its findings in the form of its Electricity Pricing Inquiry draft report, recommending deregulation of retail prices in SEQ. The QPC found that retail competition is expected to provide benefits for customers, noting that its “investigations suggest price regulation is acting as a barrier to customers realising the benefits of innovation evident in other deregulated markets”. As advised via the Queensland Department of Energy and Water Supply website: “This reform will stimulate retailers to set competitive prices and offer SEQ customers a greater range of products and services.” So, why is deregulation occurring now, and what will it mean for consumers in Queensland? In releasing its report, the QPC noted that electricity prices in Queensland had increased in real terms by 87 per cent since 2006-07, with network costs having contributed to 82 per cent of the real growth in electricity prices since 2004-05. By way of contrast, the report notes that between 1986 and 2006-07, real electricity prices had decreased, and that – adjusted for inflation – prices were the same in 2006-07 as in 1980-81, while since 2006-07, Brisbane electricity had increased in price by more than any other category of goods and services. Certainly, Queensland consumers have been subject to comparatively steep price rises in recent years. According to the report, the average household consuming 4,053 kWh a year had seen their electricity bill increase by $583 in real terms between 2006-07 and 2015-16. However, while rises in the state have been steep, it should also be noted that Queensland is by no means alone in having seen electricity prices rise in recent years, with the report noting the trend in price rises has been similar across Australia. In the current market, the Queensland Competition Authority (QCA) sets regulated electricity prices for residential and small business customers, along with some large business customers, and has been doing so since 2007. The QCA has thus been setting regulated prices based on the latest forecasts of the costs of providing electricity services, setting prices based on its estimate of the costs of supply. Now, however, with the market having undergone substantial change, and following the recommendations of the QPC, this is set to change. With regard to the south-east Queensland electricity retail market, the QPC notes that the market provides a choice of retailers (while still dominated by AGL and Origin Energy), a strong uptake of market contracts, and an increasing diversity in product and service offerings. The QPC notes that in SEQ new products and services are emerging, mainly driven by rising electricity prices, consumers wanting more control over their energy use, and better access to new technologies, including renewable energy. With the SEQ retail electricity market having been opened for full retail competition in 2007, the QPC found there is evidence that it “has developed to a point where price setting by the Queensland Competition Authority (QCA) is no longer needed and may be hindering the further development of the market”. Essentially, the rationale is that the market has now evolved to a point where it will provide consumers with competitive pricing, without the need for regulation. The good news for Queensland consumers is that, following the steep price rises of recent years, the market appears set for a period of relative price stability. “While forecasting indicates a likely reduction in real electricity prices over the next five years, there are still opportunities for change within the electricity sector, to support the delivery of cost-efficient electricity supply,” QPC Commissioner Kim Wood observed upon release of the QPC report earlier in the year. With the market now evolving, amid the growth of renewable energy sources and the move towards a lower emissions economy, deregulation is seen as a further step towards encouraging innovation and competition, with the end result being a better deal for consumers. Will electricity prices come down? So, will Queenslanders see a real reduction in electricity costs post July 1 2016? To find the answer, we look to other states of Australia which have already deregulated their electricity markets, and the outlook would appear to be encouraging. Canstar Blue research shows that electricity customers in Victoria – which became the first state to lift price restrictions in 2009 – are currently paying hundreds of dollars less each year than those in the Sunshine State, largely as a result of intense competition between energy providers, and the subsequent discounts on offer. In Queensland, the highest discount on electricity prices is just 15%, compared to 35% in Victoria where there are more than 20 electricity retailers all fighting for customers. To illustrate what impact this has on costs, the following table shows average quarterly expenses for five person households in Queensland and Victoria, with the same big three energy provider, and once all conditional discounts have been applied. Energy usage based on figures from the AER as of December 2014. Total cost calculations take into account the cost over a year billing period divided into quarterly figures with any conditional discounts applied from the Citipower network at postcode 3000, and the Energex network at postcode 4000. 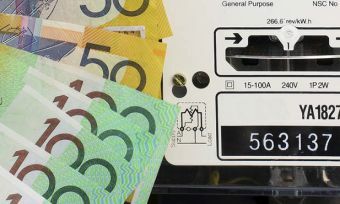 So, based on average energy usage figures in both states, these calculations show that households in Queensland are paying considerably more than those in Victoria – around $400 per year. While it seems unlikely to expect any immediate changes to electricity prices in Queensland after July 1, it is likely that new energy providers will take the opportunity to enter the market, and over time the increased competition should result in a wider range of electricity plans, discounts, and reduced costs.